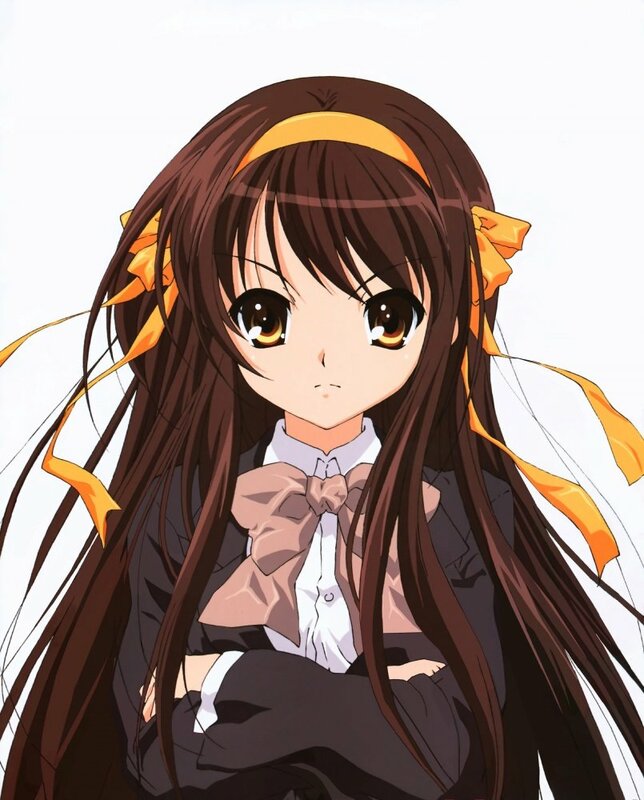 Unless you have been away for the past couple of weeks, you'd probably know by now that the second season of The Melancholy of Haruhi Suzumiya has gotten underway in Japan. Of course, Kyoto Animation is once again behind the scenes so thankfully don't expect a Tenchi Muyo or Full Metal Alchemist scenario where the artwork is changed from the first season or rendition. If I'm not mistaken, it's also a continuation of the first season which is great for all us Haruhi fans. From the looks of it, it's a bit more moe than the first season but that isn't bad, right? Hmmm? Isn't that picture of the alternate dimension Haruhi? Is the vanishment already out? yeah, it is AR Haruhi. I just used the photo as a place holder since at the time there was no Season 2 pics...plus in season 2 they are wearing the same uniforms anyways so..this different picture adds to it.